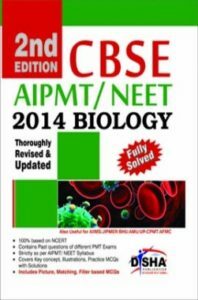 Central Board of Secondary Education (CBSE) is likely to announce the All India Pre Medical Test (AIPMT) results for medical and dental courses for the year 2015-16 on Monday. Citing massive irregularities and paper leak, the Supreme Court, while quashing the AIPMT-2015 on June 15, asked the CBSE to re-conduct the exam. The Supreme Court had directed the re-examination in view of large-scale cheating in the test with students getting answers in the examination hall at many places. The results will be available on the official website – aipmt.nic.in. The examination was conducted at 1065 centres in 50 cities throughout the country and abroad. Out of the 6,32,625 candidates who were registered for this examination, 4,22,859 candidates downloaded the admit card. The Cut off score of AIPMT 2015 entrance exam will be declared by CBSE with the declaration of result. 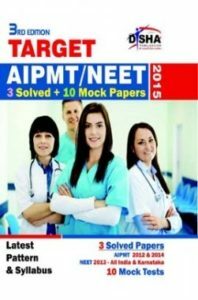 AIPMT 2015 Cut off is a predetermined minimal score required for admission in 15% of undergraduate Medical and Dental course seats in Government Medical and Dental Colleges across India, except Andhra Pradesh and Jammu & Kashmir. The cut off score of AIPMT 2015 depends on factors such as availability of seats, number of applicants and difficulty level of the entrance examination. AIPMT 2015 Merit List: The merit list of AIPMT 2015 will be based on the marks scored by candidates. AIPMT 2015 Merit List will be based on themarks range. It is a range of scorers from the highest to lowest within a category. For example, in the case of last year’s AIPMT cut off, 682 was the highest score while 438 the lowest within the unreserved category. The marks range forms the basis for AIPMT 2015 rank range. The examination authority draws out top 15% scorers among the qualified candidates in marks range in order to get rank range. Therefore, the rank range is the number of candidates qualified in different categories for 15% all India quota seats. AIPMT 2015 counselling is done on the AIPMT 2015 rank range. Proper time management and developing a strong problem solving strategy with accuracy is required to score more in AIPMT exam. The remaining days are for revision of all important chapters, topics and solving as many as mock tests. Next story What are some good preparation and test taking strategies for cracking the GATE exam in India?